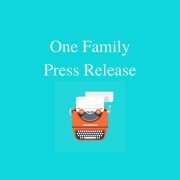 [Dublin, 5 March] One Family, Ireland’s organisation for people parenting alone, sharing parenting and separating said that Government inaction on childcare and housing means that work does not pay for many one-parent families. The statement comes following the publication of a new report from the Society of St Vincent de Paul (SVP), entitled Working, Parenting and Struggling, which found that the rate of in-work poverty among lone parents more than doubled between 2012 and 2017. Ms Kiernan added, “The Indecon report (2017) which examined the impacts of Budget 2012 cuts on lone parents, said 63% of respondents in full-time employment couldn’t afford 3+ items on the deprivation list, meaning that they are experiencing deprivation daily, and in-work poverty. Who is concerned about the fact that they are fulfilling Government policy by working full-time but their children are suffering? The SVP’s Working, Parenting and Struggling report states that lone parents in Ireland are almost 5 times more likely to experience in-work poverty than other households with children (20.8% compared to 4.2%). 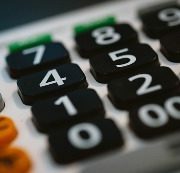 Figures that are backed up in the SILC report published in December 2018 which said that individuals living in households where there was one adult with children aged under 18 continue to have the highest consistent poverty rate at 20.7%. About One Family: One Family was founded in 1972 as Cherish and is Ireland’s organisation for one-parent families and people sharing parenting, or separating. https://onefamily.ie/wp-content/uploads/2019/03/shutterstock_316650230-e1479314273883.jpg 2763 4751 Comms https://onefamily.ie/wp-content/uploads/2017/09/One_Family_Logo_340x156px_web-1-224x103.jpg Comms2019-03-05 13:21:152019-03-05 13:43:37Who is looking after the Working Poor? One Family – Ireland’s organisation for people parenting alone and sharing parenting – reacted with alarm at the latest figures from the Survey on Income and Living Conditions (SILC). The report shows that one-parent families are now five times as likely to live in consistent poverty than two-parent households; this is an increase in the ratio from 2016 when the gap was four times as likely to live in consistent poverty. The report also shows that lone parents have the lowest disposable income and highest deprivation and at risk of poverty rates of all households with children in the State. In 2017, individuals living in households where there was one adult with children aged under 18 continue to have the highest consistent poverty rate at 20.7% which is a decrease of 2.5% from 2016.This is compared to a consistent poverty rate of 3.9% for two-parent households. This means that lone parents are five times as likely to be living in consistent poverty compared to two-parent households. One in four families in Ireland is a one-parent family. Research shows that a key contributor to children’s futures is not the structure of their families but living in consistent poverty. One Family was founded in 1972 as Cherish. It is Ireland’s organisation for one-parent families and people sharing parenting, or separating, offering support, information and services to all members of all one-parent families, to those sharing parenting, to those experiencing an unplanned pregnancy and to professionals working with one-parent families. Children are at the centre of One Family’s work and the organisation helps all the adults in their lives, including mums, dads, grandparents, step-parents, new partners and other siblings, offering a holistic model of specialist family support services. SILC 2017 results can be viewed here. (Dublin, Thursday 6 September 2018) One Family – Ireland’s organisation for people parenting alone and sharing parenting – has said that lone parents could fill the skills gap in the labour market if the Government were to provide targeted supports to parents. The call comes as the charity launched its annual review for 2017 which shows that, to-date,over 70% of graduates who completed the ESF funded ‘New Futures’, ‘Options’, ‘New Steps’ and ‘Pathway’ programmes are now in employment or education. Speaking at One Family’s Annual Graduation event, One Family CEO Karen Kiernan said, “The long-term unemployment rate fell from 3.2 per cent of the labour force last year to 2 per cent today. This means the traditional pool of unemployed workers to grow our workforce is also drying up.There is an easily accessible solution available for the Government – lone parents. Many lone parents have been hampered in returning to the workforce by a lack of childcare, difficult relationships, court battles and an overly complex and punitive social welfare system. Pathways is a eight week college preparation course is for those interested in, or going into, further education. All One Family’s programmes are specifically designed for those parenting alone or sharing parenting and incorporate 1:1 and wrap around family support services. 20% of calls came from Dads. There were 218,817 family units with children (of any age) headed by a lone parent (Census 2016). 1 in 4 families with children in Ireland is a one-parent family. 1 in 5 people in Ireland live in a one-parent family (Census 2016). 356,203 children lived in one-parent families, representing more than one in five or 21.2% of all children in family units. https://onefamily.ie/wpcontent/uploads/2011/12/14578_onefamily_review_2017_Final_web.pdf For further information, visit www.onefamily.ie. [Dublin 4 September] Registered charity One Family has been appointed as the provider of the HSE’s National Telephone Counselling Service for Crisis Pregnancy and Post-Abortion. The service is due to start in 2019 and will provide a national counselling service to women experiencing an unplanned or crisis pregnancy. The appointment comes following a European wide e-tender process. The service will provide 20 hours of counselling by telephone per week. Whilst plans are still in development it is anticipated that this will primarily be delivered out of regular office hours. The Sexual Health and Crisis Pregnancy Programme of the HSE undertook the commissioning of this service. Whilst the maximum budget available for the 3 year service was €800K, One Family’s bid was significantly less than this. One Family has undertaken to provide four counsellors for the 20 hours per week as it is anticipated that demand will be high for this service. One Family, formerly Cherish, has over 46 years experience working with women experiencing a crisis or unplanned pregnancy. One Family has been providing expert training around the issues of crisis pregnancy, abortion and working with migrants to crisis pregnancy counsellors via Maynooth University over the past eight years. 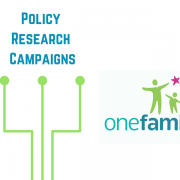 [Dublin 20 July] One Family, Ireland’s organisation for people parenting alone, sharing parenting and separating has today said Budget 2019 must focus on evidence based targeted supports rather than blanket increases to social welfare. The charity’s comments came at the launch of its Pre-Budget Submission ahead of the Pre-Budget Forum in Dublin Castle. Consistent research has shown that children in one-parent families are most at risk of poverty, Government must now act to support these vulnerable families. One Family’s Pre-Budget Submission includes recommendations that would enable Government to provide targeted supports to children living in poverty. Full restoration of the Income Disregard for One-parent Family Payment and Jobseekers Transition. Increase earnings disregard to €161.40. In 2011, before the 2012 cuts were introduced, the earnings disregard equated to 16.9 hours of National Minimum Wage employment. A disregard of €161.40 would restore these hours and payment levels. Standardise the child maintenance process and provide support for those parenting alone who are pursuing child maintenance. Do not leave this process solely to the parent with care responsibilities. Raise the base rate of the Qualified Child Increase (QCI) from €31.80 to €35.00 per week for one-parent families most at risk of poverty and raise the QCI for children over the age of 12 to €37.80 per week, in recognition of the higher costs faced by families with older children. One Family’s Pre-Budget Submission can be viewed here. One Family is Ireland’s organisation for one-parent families and people sharing parenting, or separating, offering support, information and services to all members of all one-parent families, to those sharing parenting, to those experiencing an unplanned pregnancy and to professionals working with one-parent families. Children are at the centre of One Family’s work and the organisation helps all the adults in their lives, including mums, dads, grandparents, step-parents, new partners and other siblings, offering a holistic model of specialist family support services. These services include the lo-call askonefamily national helpline on 1890 662212, counselling, and provision of training courses for parents and for professionals. One Family also promotes Family Day every May, an annual celebration of the diversity of families in Ireland today. Karen Kiernan, One Family, CEO | t: 01 662 9212 / 086 850 9191. Survey finds 75% of parents have discussed abortion with their children because of campaign. A survey by One Family, Ireland’s organisation for people parenting alone, sharing parenting, and separating, has found that over 88% of parents think the referendum posters are unhelpful with 75% confirming the campaign has led to discussions with their children about abortion. One Family, which provides crisis pregnancy and post abortion counselling services launched the survey last week following an escalation in the number of people seeking its counselling and parenting services, particularly its tips on how to speak to your child about abortion. The majority of those seeking support said they had done so after they, or their children, had seen graphic campaign posters. 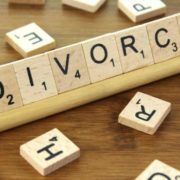 The survey was conducted online by One Family through its social media and e-zine followers as well as via other organisations working with families and had over 300 respondents. 42% of parents who responded had children in the 6-10 age group, followed by 26% in the 3-5 age group and 20% in the 11+ age group. Q: Have your children noticed the posters associated with the referendum campaign? Q: Have you discussed the issue of abortion and the referendum with your children as a result of the referendum campaign? “He’s five so I’ve just explained about voting and we’ve practised voting with him and his younger sister on simple issues like what will we have for dinner. He hasnt read the word abortion he hasn’t asked so I haven’t discussed”. 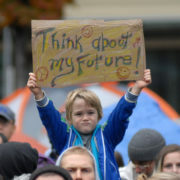 Q: Have the posters associated with the referendum campaign been helpful to you as a parent? Survey ran online from Saturday 28 April to 9am Friday 4 May and 325 parents responded. One Family, formerly Cherish, has been providing services and supports for people parenting alone, sharing parenting, and separating since 1972. One Family provides post-termination and crisis pregnancy counselling and supports to its clients in their roles as parents and into training, education and employment. One Family also provides support for children in one-parent families. One Family, Ireland’s organisation for people parenting alone, sharing parenting, and separating, welcomes the ERSI report Poverty Dynamics of Social Risk Groups in the EU in relation to the specific barriers faced by lone parents in both accessing work and their experience of higher levels of deprivation and child poverty. The paper draws on the EU-SILC dataset to investigate changes over the period 2004 to 2014 in the trends and dynamics in poverty for social risk groups in selected European countries representing different welfare regimes. Out of 11 EU countries, the persistent poverty gap in Ireland was the largest; it also increased the most during the study’s time frame. The main findings of the report indicate that one-parent families in all countries have among the highest risks of both material deprivation and income poverty. Ireland, along with the UK, stood out as having poorer outcomes for vulnerable groups such as lone parents, especially in terms of material deprivation. Both are liberal welfare regime countries. The report also showed that lone parents face significant challenges in converting resources such as capital and skills into desired outcomes, with 43% of lone parents experiencing material deprivation in at least one of two consecutive years compared to 13% for other adults aged 30 to 65. According to Dorothy Watson of the ESRI, policies which successfully reduce poverty for the population as a whole are not enough to support vulnerable groups. “Proactive steps are required to address the deprivation experienced by lone parents and adults with disabilities, and also to tackle the higher rate of child poverty associated with these households. Such interventions are particularly urgent in Ireland, as the data show that the deprivation gap is most pronounced here,” she said, in the organisation’s press release. The report also found that lone parents and adults with a disability face barriers when trying to get work. The ESRI suggested improving access to affordable childcare, flexible work arrangements and protection of secondary benefits such as medical cards to make getting to work easier.